and your success is important to us. the more successful we become. Jane Roqueplot, DBA JaneCo's Sensible Solutions and its divisions, ProfilingPro and Resume4Success, has a commitment to maintain the utmost integrity, confidentiality and ethics, while furnishing professional state-of-the-art materials that all clients will use with pride and confidence. Concentrated effort is invested toward a dedication of providing quality services and reliable resources. 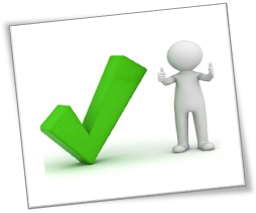 That goal is achieved in the client data collection process by adhering to the U.S. Department of Labor Employment and Training Administration's guidelines for using assessments with current validation and reliability studies, plus compliancy to EEOC regulations and Adverse Impact requirements. The assessments for generating the DISC reports for clients, affiliates, and ProfilingPro Authorized DISC Administrators and Behavioral Consultants have been researched and selected to ensure the most valid DISC assessment products in the marketplace are being provided. 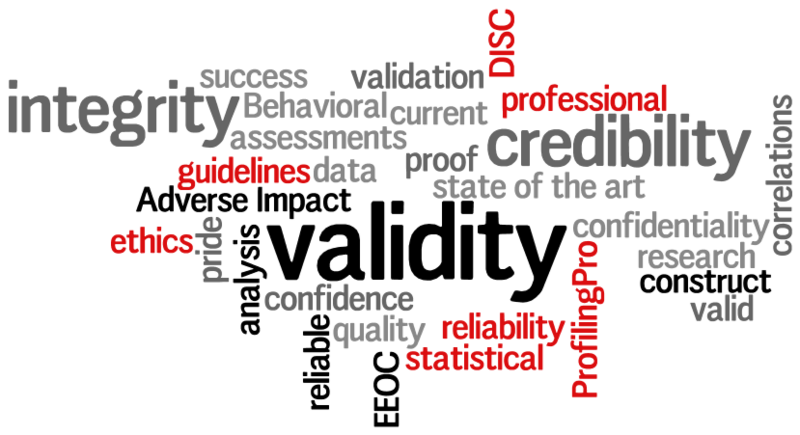 The validity studies are completed by third party statisticians, with the validity study readily available upon request. The validity studies prove the face validity and more importantly, the validity and reliability studies go beyond face validity and provide proof of construct validity, which is based on correlations and statistical analysis. I'm confident you'll be pleased with our materials, service, and support.